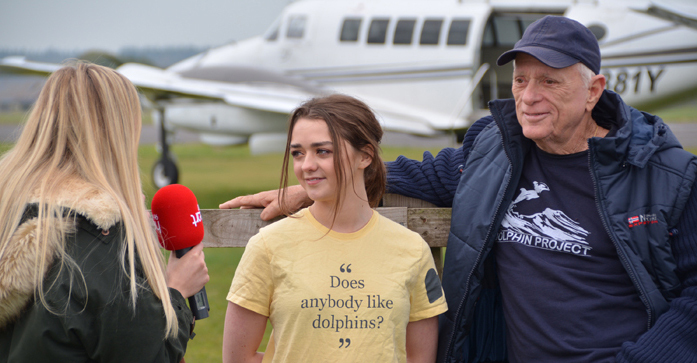 High above the English countryside, Ric O’Barry and Maisie Williams proved being an advocate for dolphins doesn’t just involve activities on the ground. 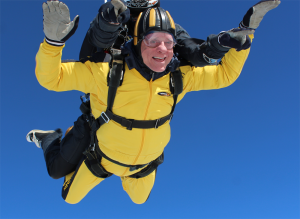 In fact, on October 17, the pair jumped out of a perfectly good airplane and into the big blue – the sky that is – in their skydive to raise awareness and dollars for dolphins. 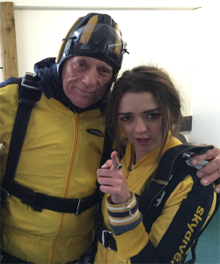 In fact, it was so cool that Ric and Maisie decided to make it an annual event. 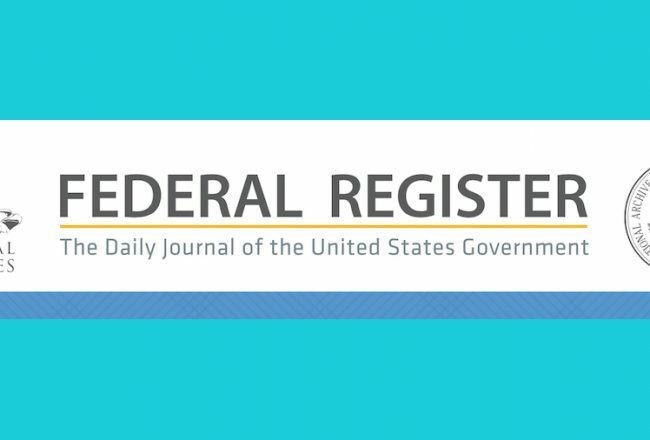 Have an idea that’s outside the box? 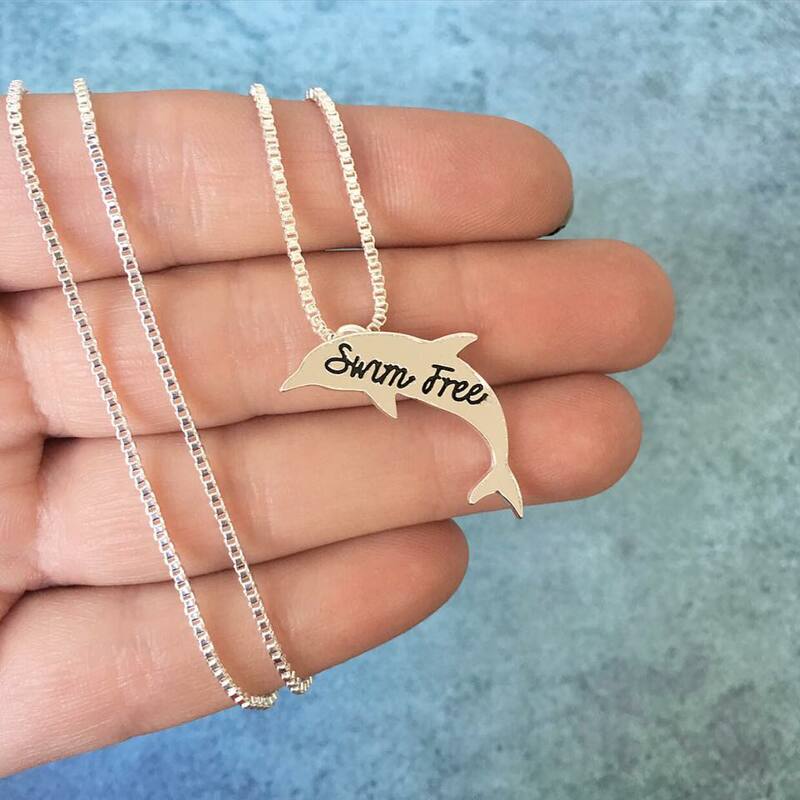 A creative and innovative way to help support Dolphin Project and bring the plight of captive dolphins to the masses? 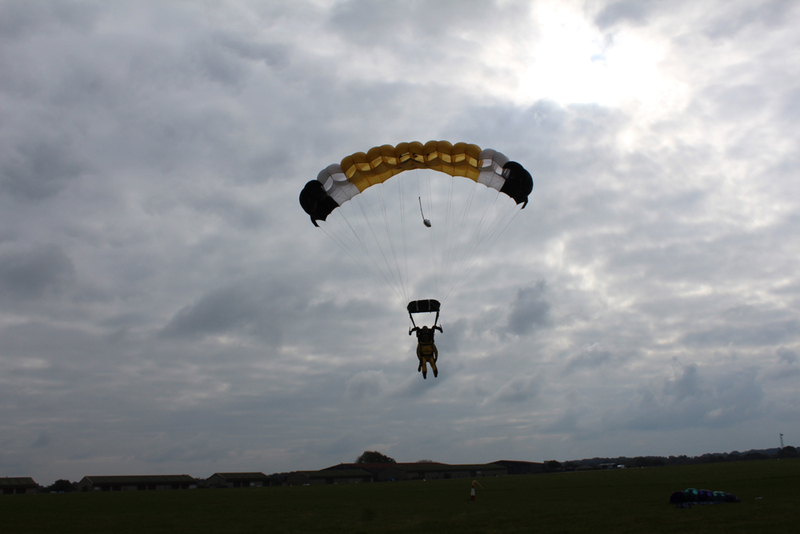 Hop over to our CrowdRise page and put your imagination to a great cause! 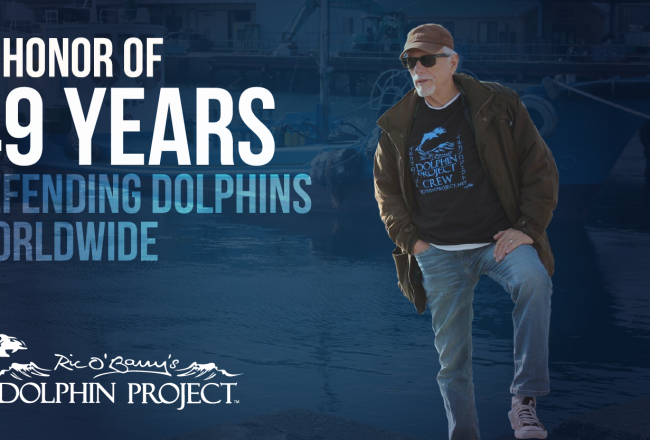 With our Cove Monitors physically present in Taiji, Japan to document the brutal dolphin hunts for the entire 2015/2016 season, your help is urgently needed – and appreciated. 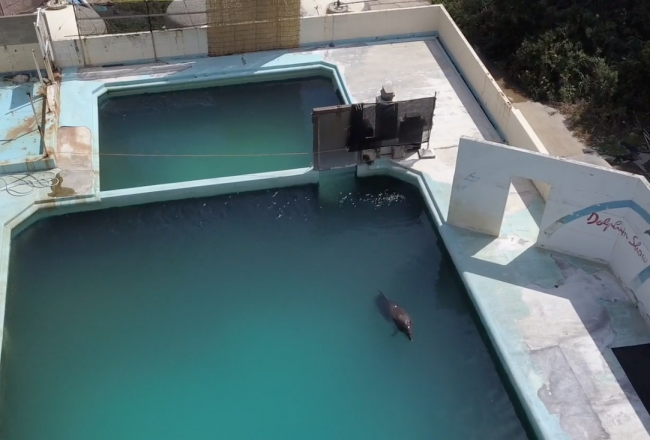 Maisie herself will be going to Taiji later in the season as a Dolphin Project Cove Monitor. 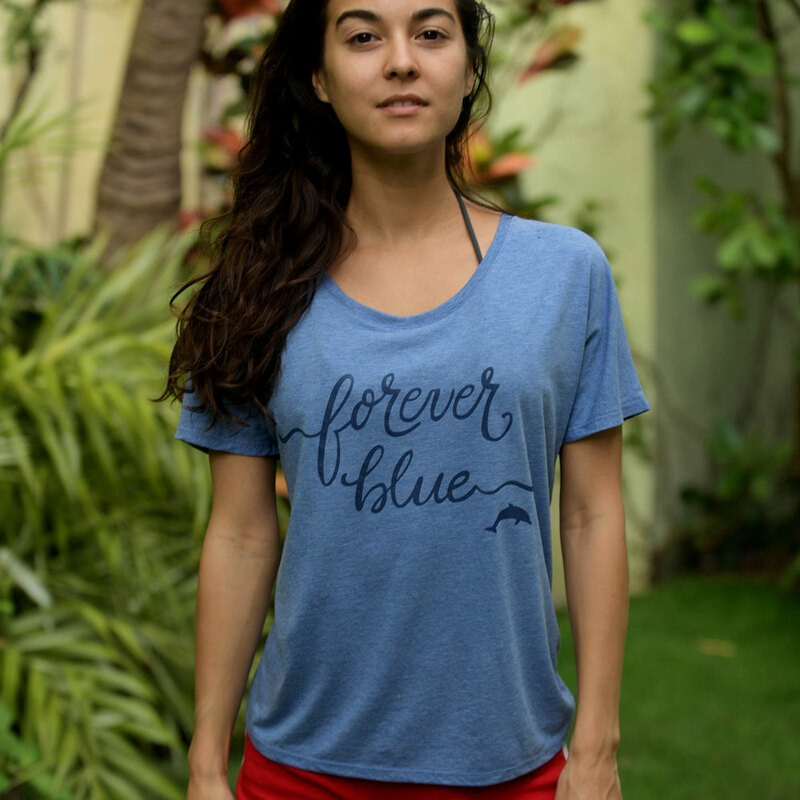 Shop cool Dolphin Project gear, including Maisie’s “Does anybody like dolphins?” shirt.